You are here: Virgin Islands News Online » News » Scrub Island Resort reopens; Little Dix Bay Resort closed until 2019! Six months later many of the major resorts remain closed, leaving hundreds jobless. But it was even before the hurricanes of September 2017 that more than 300 persons were made unemployed when Rosewood Little Dix Bay Resort closed for renovation with a promised reopening at the end of 2017. The decision was seen as a controversial one as Premier and Minister of Finance Dr The Honourable D. Orlando Smith (AL) had publicly lamented that the resort did not inform government of its intended closure, even though Chief Executive Officer of the Planning Authority and Chief Planner Gregory W. Adams had said Rosewood Little Dix Bay Resort had received approval for their renovations since as far back as 2013. The resort had promised it would welcome back its "associates" to the resort to interview for available positions. 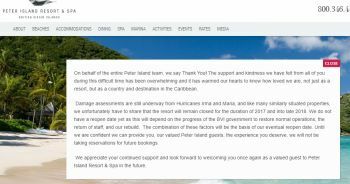 Then came the hurricanes and an announcement that the resort was severely impacted and the re-opening would now be sometime in 2019. Meanwhile, the popular Peter Island Resort and Spa also remains closed since the hurricanes of 2017. Scrub Island Resort back in business! 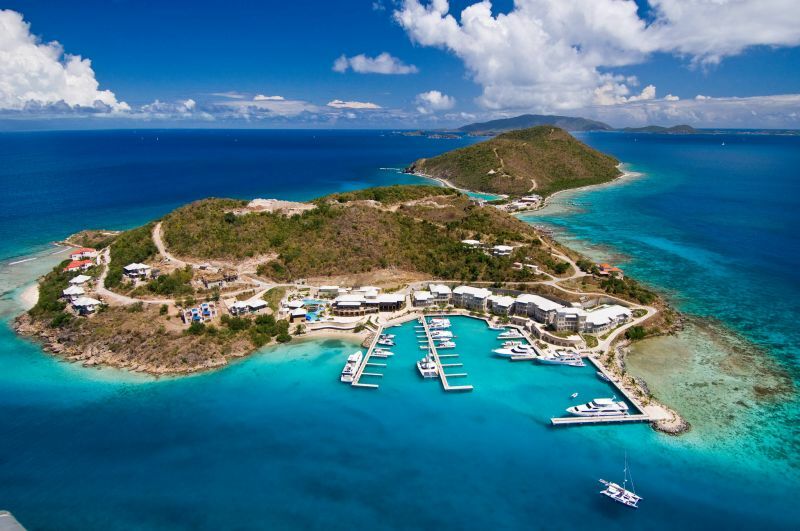 One major resort that is back in business is Scrub Island Resort, Spa & Marina, which had announced since February that it was welcoming locals back this spring with a partial opening of the private-island resort. The property is the first full-service resort to return to business in the Virgin Islands in the wake of the hurricanes last year. 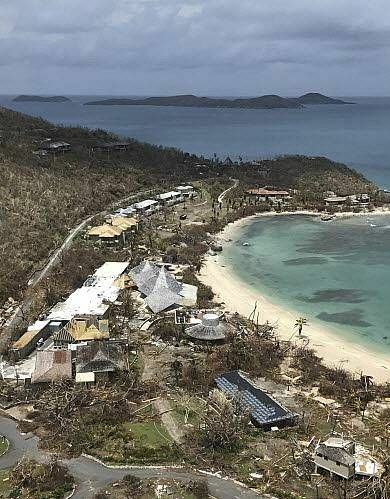 “Like so many hotels and resorts in the Caribbean, Scrub Island Resort, Spa & Marina was forced to temporarily close this past September in the aftermath of the 2017 hurricane season to assess and recover from damage sustained from the storms,” said Joe Collier, president of Mainsail Lodging & Development, in a press release on February 27, 2018. Meanwhile, Scrub Islands’ public relations person Sarah Weaver told this news site on March 13, 2018 that the resort is currently accepting reservations for all guests through the Tampa reservations office at (813) 849-4116. The Anegada Beach Club on the sunken island of Anegada reopened its doors on Thursday, March 15, 2018. “We are freshly rebuilt, upgraded and open for business,” a press release from the establishment stated. A nice place to hang out and enjoy life.. In 2020 The BVI will be ontop again. With little Dix Bay and Peter Ialand re- opening we looking at 400,Jobs Just from those 2 hotels. Every thing will be back by 2020. With a responsible government we will again be the envy of the Caribbean the attraction. Right now I will say SK is at the top from what I saw when I went there. In 2 yrs we will reclaim our glory. Let's all hanging and ride it out. 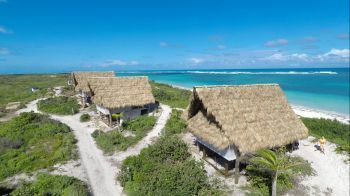 Anegada Beach Club has been open since Feb 1st and have always given local discounts regardless of season..